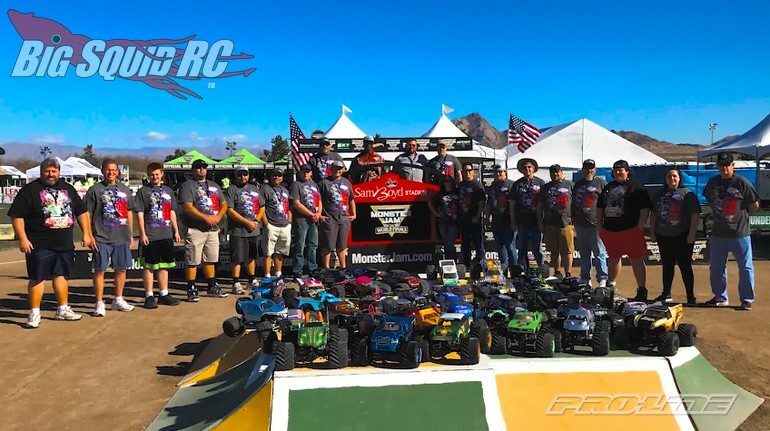 Pro-Line at the 2018 Monster Jam World Finals Video « Big Squid RC – RC Car and Truck News, Reviews, Videos, and More! To help promote scale monster trucking, Pro-Line has uploaded a highlight video from the 2018 Monster Jam World Finals. The video has action from the full sized trucks, as well as from the rc monster trucking that went down at the Las Vegas finals. With amazing scale detailing, modern day rc monster trucks look just like their full sized counterparts, but pack even more extreme performance. Pro-Line has numerous upgrades to get your monster truck to jump even higher and further, Hit Up This Link to learn more. Read all the latest Pro-Line News on BigSquidRC.